If you ever see me on a run-around day, most of the time I'll be sportin' my converse. Why? because they're the most comfortable shoes I have and the easiest to just throw on and rush here or there. 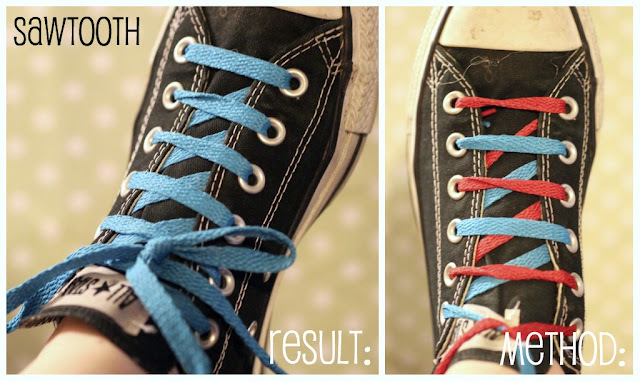 Sometimes though I wanna change things up a bit more than just the particular pair, so I'll put on some colorful laces and/or do some creative lacing! Today I'm going to show you 10 different ways to lace up your favorite pair, whatever they may be, because we all own at least one right? 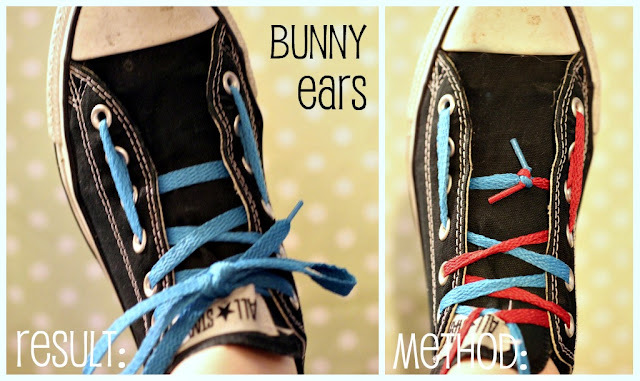 And who doesn't want a fun and creative way to switch things up a bit now and than? So now here's your chance! I came up with the brilliant idea (in my humble opinion) to tie two different colored laces together so you can see exactly where each lace is headed! Remember to always start where the knot is, good luck and have fun! #1. Loopback: this one is really unique, and I was surprised to see how cool it looked with the different colored laces! Its also really easy to do. #2. Sawtooth: This one looks and sounds a bit edge I think, A little bit trickier to figure out maybe, but once you see the method and get started it laces up really quick. #3. The Double Back: This one is all about the laces. If you have some special or fun laces you wanna show off, this is the one for you. Its sure to be noticed. #4. The Wash Board: This is the classic skating style lace-up, typically seen on vans. Doesn't it look great on these converse though? This is another one that would be fun with alternating colors. #5. 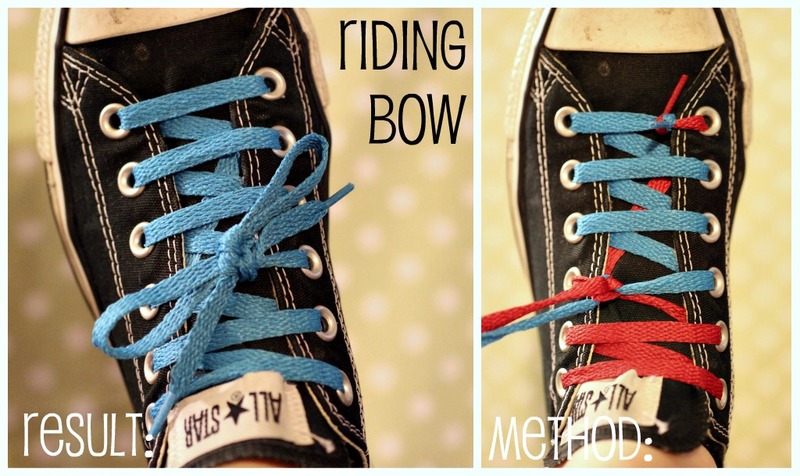 The Riding Bow: I love that the bow is in the middle of the laces. People will always ask you how you did it! #9. 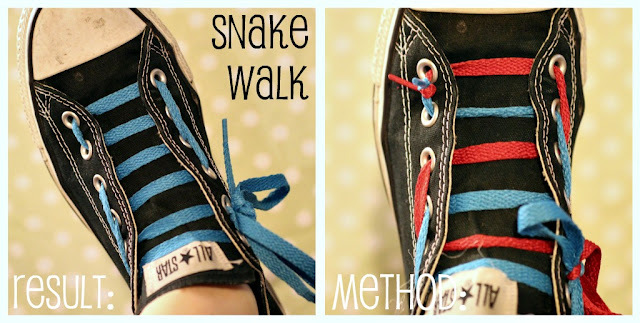 The Snake Walk: This one has a feminine touch with the bow on the side! 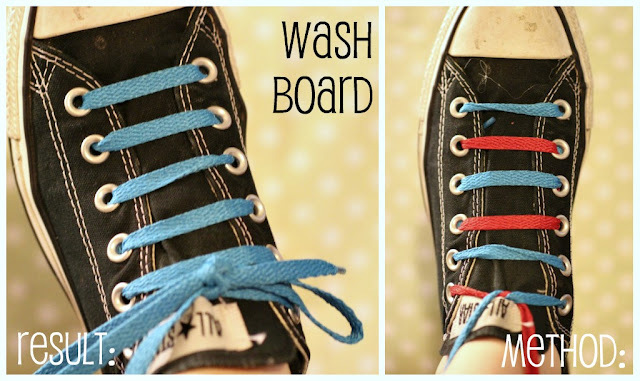 Playful and fun, and easy to do. #10. The Lattice: This one i saved for last because its my favorite! 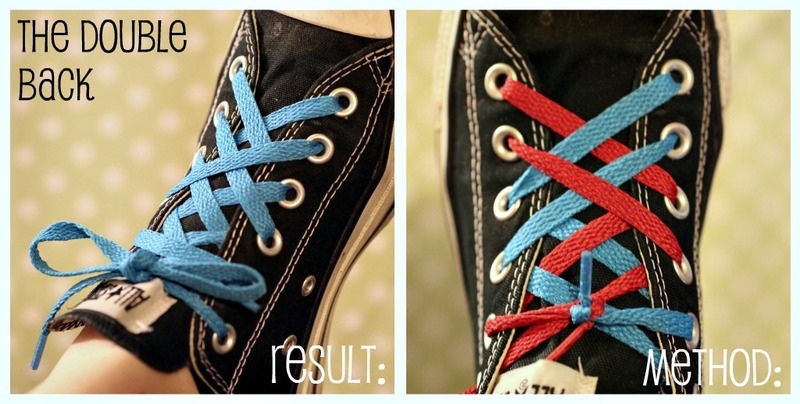 I just love how the laces can be weaved in and out (even though I did not.haha) Looks neat with two different colors too! I hope you've been inspired to give your ordinary sneakers a little makeover with one or more of these lace-ups. Let me know if you have any questions! OMG!!!! !THIS SI SO COOL!! I can't even tie a normal loop.U are amazing!!!! Love it!! Very neat! 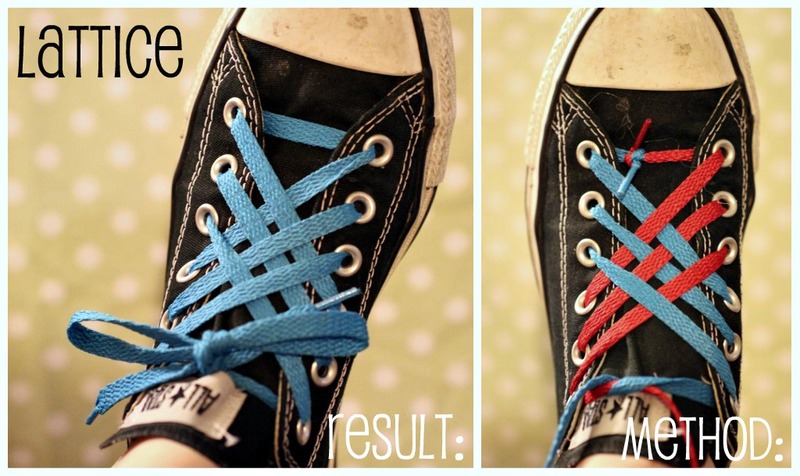 I think that one of these would look great on my converse that come up almost to my knee! These are so cool! 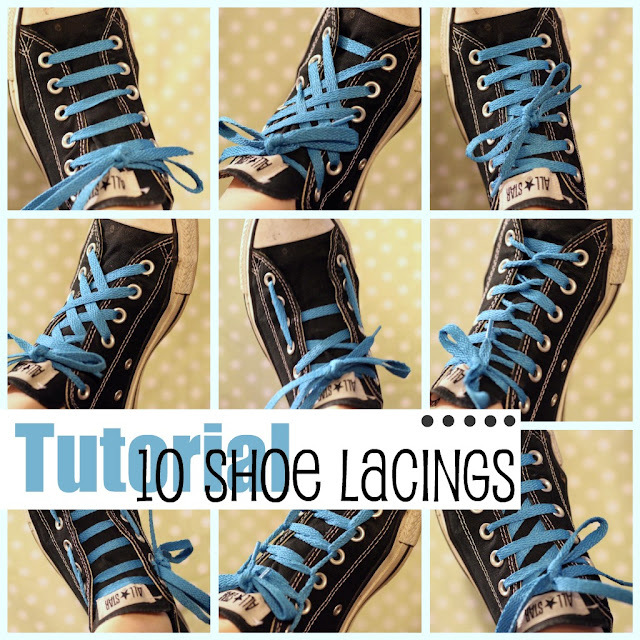 I've always tied my shoes the plain old boring way, but I'm definitely going to try one or more of these! Very fun. Now where are my Converse? Thanks so much Brandis! come back anytime! First of all I love your tutorial. That so cute! 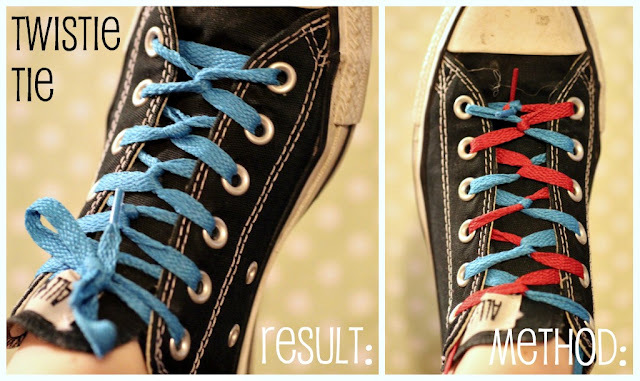 It's fun to dress up your shoes! 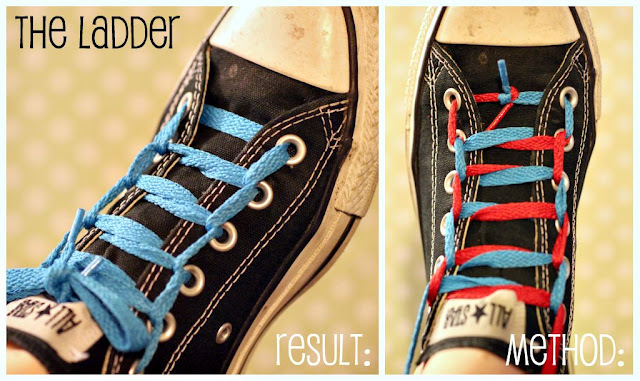 I need a good pair of converse. I have always loved them, and haven't owned a pair for quite a few years. How creative? 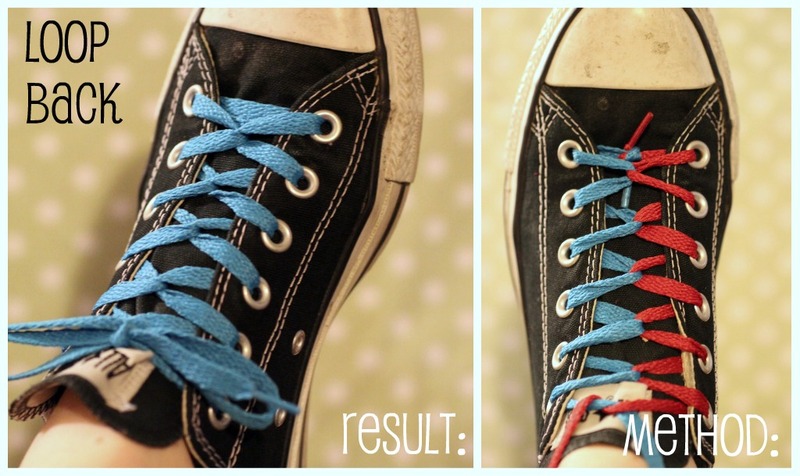 All the teens in our youth group are mad for Chucks. I'm sure they'd love this! As soon as Twitter is kind enough to unsuspend my account I'm certainly sharing this one.